A reciprocating saw is an upgrade of the standard handsaw. It has a motor that allows the front of the saw move on its own. So, if your question is how to use a reciprocating saw, you need to keep in mind that it is a power saw that works on certain mechanical principles. Being around for over 60 years, this handy tool helps with cutting woods, pipes, nails, metal, and so many things. It can become your new best friend, and you’ll find yourself using it in all kinds of places like construction work or when you are remodeling your house. You’ll have to be cautious when using it as any wrong move can be disastrous. That’s why we wrote this article to help you learn all the things you need to know about this tool. Follow through and find out more about its parts, how to be safe, and where to use it. Read This Before Knowing Reciprocating Saw How to Use! The recip tool or as what others call it, a Sawzall has several features which you need to understand so you can use it like a pro. Let’s know the different components first before we ask ourselves, how do you use a reciprocating saw? This is the heart of the reciprocating saw. There are different types of blades for different uses. Having the wrong one will result in a whole day of cutting, leading to waste of energy and damaging the blade. Reciprocating saw comes with a different tooth count. The higher the tooth count, the finer it is. A lower tooth count means a coarse blade. The finer blade is used for cutting softer materials. To cut wood or plaster, a coarse blade will be better. It is the control unit of the machine. The rotating motor, though not visible, connects to the piston that is attached to the clamp, giving it the effect of movement from up to down. The motor is the power-up feature of the tool. So, for you to operate the recip saw, make sure that the motor is working. Some of the reciprocating saws are cordless and requires a mechanism to make it work. A single battery is needed for it to work. The battery works well with cordless saws and is a time saver when you have a project far from home. You can always change the battery if the last one gets damaged or its life comes to an end. You are in charge of how faster or slower the tool will go. Variable speed means that you can adjust to the length you want. Some of the saws come with the two-speed control system while some come with one that can be adjusted to several speeds. Use the system to control your work. It is the meeting point of the blade and the machine. The adjustable shoe plays a role in extending the battery life of the saw. It allows you to set the depth of cutting and also boosts the space you may need to make a cut. The handle is right at the end and below the saw away from the blade. Hold it firmly so that you can control the saw effectively. Handling the saw requires skills. For you to get the right grip, hold the equipment with both hands. Use one hand to grab the handle and use the other hand near the front at the slender point. A comfort grip helps in keeping the tool stable and minimizing any unintended movement. Whether the shoe of the saw is stationary or adjustable, it serves an important purpose. It stabilizes the reciprocating saw by reducing vibrations caused by a lot of pressure when operating. It also acts as the hinge for deeper cuts thus more control. The lock is meant to engage and release the shoe after any adjustments. It is an assembly of a lock plate, a shoe bracket, pin, and a lever. These four are part of the shoe adjustment lock that allows it to be adjusted without any extra effort or any other tools. When trimming down the dark places like a switch box, the light comes in handy. Some of the saws come with LED light and if you are looking forward to cutting lines in such places, then go for one that has it. It is a safety component found at the handle of the saw. Its primary use is to avoid starting the saw accidentally. To use it, turn ON the saw then press the lock-off switch inward. Don’t let go as you turn on the trigger button. Once the saw starts, you can release the lock switch but continue squeezing the trigger. Now that you know what each of those components is, it’s time we look at the details of reciprocating saw how to use. The blade is what makes the saw complete. To cut your materials, you’ll need the right blade. Some of the examples of blades in the market include Milwaukee Double Duty Upgrade blades, Diablo carbide-tipped recip blade among many more. For wood cutting purposes, deeper teeth blades will be ideal. Blades for metal cutting usually are short and with around 24 teeth per blade. Always be safe when installing your blade in the chuck to avoid any injuries. But this is a rather simple process as no extra tool will be needed to place it in. Make sure that the saw is not plugged in. After that, remove batteries and put the blade in the slot beneath the shoe. Insert the battery in the chunk, and you are good to go. If you are in doubt, always ask for assistance from an expert. There are some places where it is difficult to predict what is at the back for instance behind a wall. Focus on the point of intersection between what is being cut and the blade. You may notice the blade extending to other regions since it is mechanical. It is your partner in cutting as it helps reduces those vibrations. The shoe is a little metal piece found between the opening of the saw and the blade. A shoe adjustment lock will help engage and adjust the shoe when it touches a material causing a violent shake. 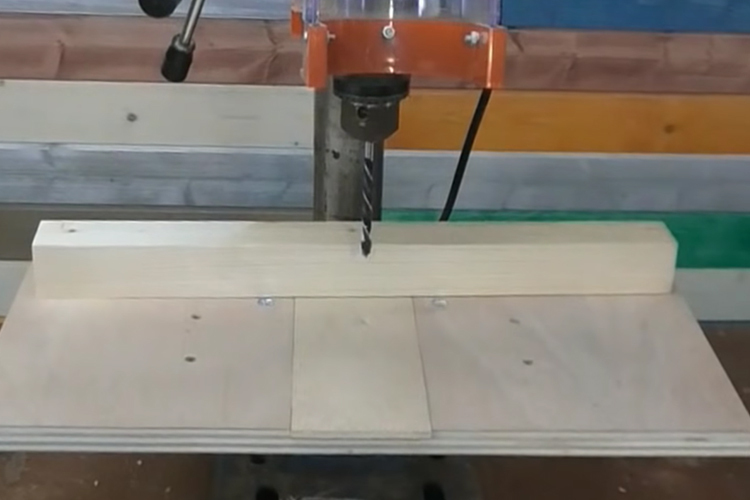 So, how do you use a reciprocating saw for cutting? With, everything ready, it’s time to apply the pressure and start working. Hold the tool with both hands and align the blade to the point of insertion. Start the cut gently and then increase the speed. Remember that this will depend on the material you are cutting. The stroke is the length the blade goes for one cut. For faster speed, use a long stroke which means more teeth on the object. Use a lighter stroke for work that needs more accuracy and hence fewer teeth. For a corded saw, use a higher amp, about 15 amps, when you have more tasks. Twelve amps are best for less work but will still do for the latter. Cordless Recip saws use batteries mostly Lithium-Ion batteries. It guarantees 50 percent recharges in all weather conditions. Apart from the regular functioning of a reciprocating saw, an orbital action also called a pendulum action, is a swinging motion that cuts into the material. It improves the cutting operation and also increases the speed. It’s best for cutting thick and hard materials. Examine the material you are about to cut. If you notice the blade moving at a slower speed through the piece, then there may be some problems you’ll need to look at. Either you are not cutting with enough pressure or the blade may need a replacement. Use extra force when cutting thicker material. Make sure that there are no nails or screws on the way. Hold the saw away from you but right in front of you. Place the blade through the hole, then cut through it. Pick the right blade for metal, the finer tooth. Keep the following tips in mind before using the reciprocating saw. Wear protective eyewear to prevent any flying debris. Wear a dust mask to reduce exposure to certain chemicals. Replace the corded wires if wrecked to prevent shocks. Dress appropriately and avoid jewelry when operating this saw. Use the tool only when relaxed and not when you are tired or in the influence of alcohol or drugs. You now know how to use a reciprocating saw and how to stay safe. It is a versatile tool, no doubt! Remember to choose the one that suits you best and to make use of all we’ve discussed above.